Security has been tightened across Kyrgyzstan as part of the interim government's continued attempts to hold on to a fragile peace. More than 1,000 people have been taking part in rallies in the capital Bishkek to demonstrate their support for the country’s new administration. Now a makeshift barricade at a gate to the main government building in Bishkek serves as a reminder of last month’s political uprising. Next door, there is a small memorial to those who lost their lives in the chaos. “Today is the opening of this memorial for the heroes that died on April 7 during the clashes, when Bakiev’s authorities shot at people, children of their own nation. Today is 40 days since the moment when these people died while saving their own people and their motherland,” said Bishkek resident Damira Sirkizieva. It’s been a tense month for the Kyrgyz people since thousands took on president Bakiev’s nepotistic government. He responded with brute force until being forced to flee. It was thought that last week’s pro-Bakiev clashes in the south could spread to the capital on Monday, but that did not happen. Instead, a crowd of a few thousand gathered peacefully around the Kyrgyz capital in a show of support for the new interim government. 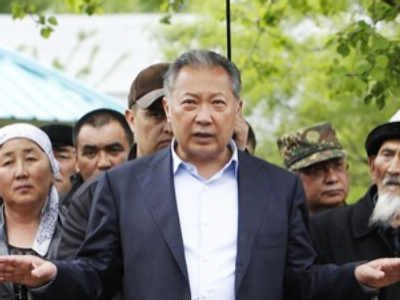 People in Kyrgyzstan share a common view that last month’s events were indeed a revolution. But they want to stress that it did not come arbitrarily from some leaders at the top, but rather it was a grass roots effort by the people themselves. 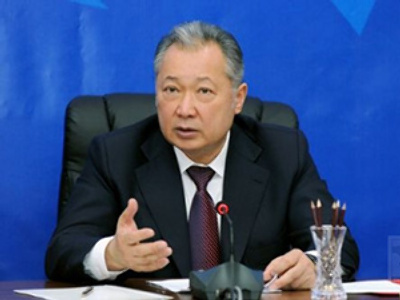 The temporary government is keen to prove that Bakiev’s era is completely over and that calm is being restored. Adrenaline’s still running high – the challenge now is to prove to the people that there’s a real alternative at the top.